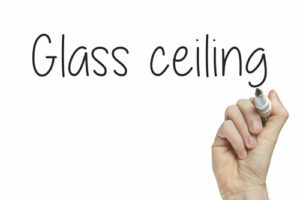 A Glass Ceiling is an invisible barrier preventing women, minorities, and other individuals belonging to a “protected class” from reaching the next level of success in their chosen field. Many members of protected classes are denied opportunities to advance to upper levels of executive management, despite their established record of achievement and ability. Financial services, such as banks, insurance companies, brokerages, and accounting firms. Health care, including hospitals, clinics, private medical practices, and HMOs. Professional practices such as law firms, accounting firms, and real estate agencies. Major corporations in industries from manufacturing to high technology. Government agencies, including police and fire departments. 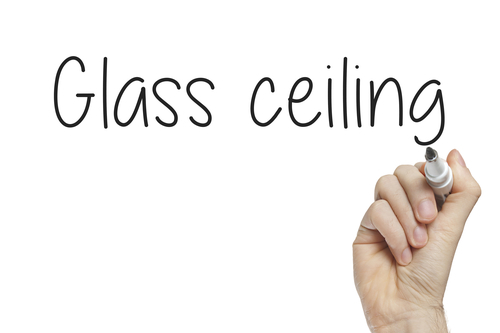 Glass ceiling cases are primarily proven by statistics. For instance, if all women cannot rise above the position of supervisor, then all women are being discriminated against in promotion and hiring. Therefore, any glass ceiling case is a potential class action case. If your career has stagnated and you cannot identify a reason why your employer has failed to promote you despite your achievements and abilities, please contact our glass ceiling attorney at Rawa Law Group.